SOS- Save Our Species channels funds from donors to existing frontline conservation actors working to protect from extinction some of the world’s most threatened species of plants and animals. In parallel SOS, communicates about the successes, sharing stories and learnings with key stakeholders and the general public. SOS does this because saving species is a universal cause. Nature is made up of species and nature is our life support system. Thus SOS communications aim to educate and inspire support for this cause. More than 5 years of conservation action have passed since IUCN, the GEF and the World Bank launched SOS together at the 10th Conference of the Parties of the Convention on Biological Diversity, in Nagoya, Japan. To date, SOS has funded 109 projects protecting more than 250 threatened species of plants and animals by supporting 78 NGOs in 52 countries. The future promises more action with our commitment to lemur conservation – 11 projects so far – and several other strategic initiatives in development. Here you can read the latest newsletter from SOS, where you can learn about and be inspired by the conservation success stories achieved by SOS and their partner organizations. Our headline story is the saddening news of the imminent extinction in the wild of the Addax (Addax nasomaculatus) – a migratory species of desert-adapted antelope. Recent surveys funded in part by SOS found only three surviving in the wild. A press release issued May 6 generated significant media coverage, highlighting the causes and the actions to take before this desert icon disappears from Niger. 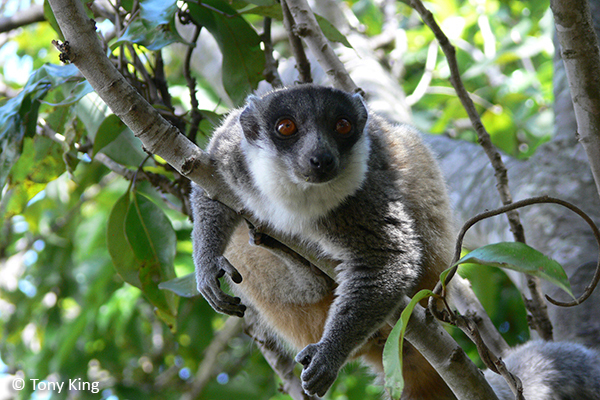 Also in this edition, A look at SOS project teams working with local communities in 11 sites to help protect over 30 species of lemurs. 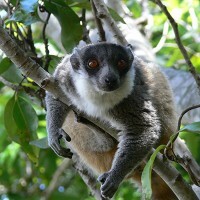 Aligned to the Lemur Conservation Strategy, each project is harnessing a mix of activities to achieve sustainable solutions for species and the people who share the same living space.